1. 150 pcs 4cm earthworm lures. Perfect for night fishing and deep water fishing. 2. Made of environmentally-friendly materials,reusable and long term preserved. 3. 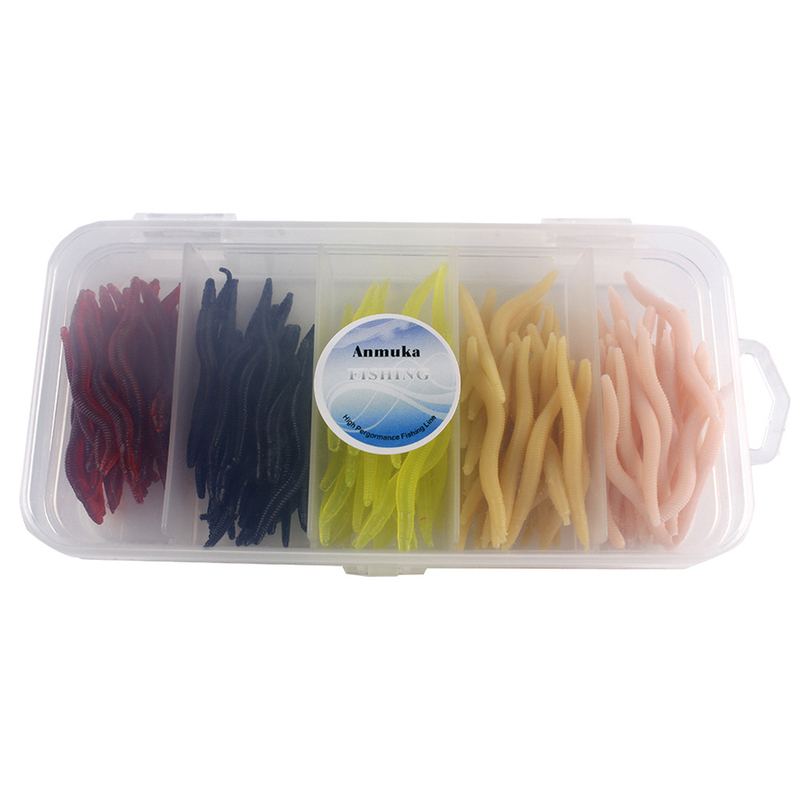 Lifelike worm design,soft and lightweight,can easily attached to the fish hook,has super attraction to fishesy. 4. Come with a handle box that keeps everything organized, easy to store and carry. 5. A helpful fishing tool for anglers.